Includes drop in bracket. Measures 26″1/4 Wide X 16″ Deep X 24″ Tall machine. 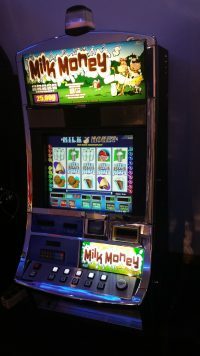 Has POKER, SLOTS, KENO and BLACKJACK with Multi-denomination.